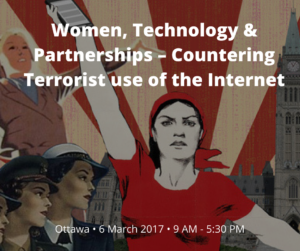 The CIC National Capital Branch, in cooperation with the SecDev Foundation, present a special panel on “Women, Technology & Partnerships-countering terrorist use of the Internet” on 6 March 2017 in Ottawa. 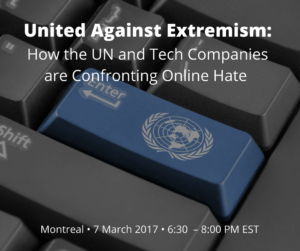 This event is co-organized by the United Nations Counter-terrorism Executive Directorate (UNCTED), ICT for Peace Foundation (Switzerland) and the SecDev Foundation (Canada) as part of its current global engagement project working with industry, and key stakeholders to develop community standards around the prevention of violent extremism online consistent with UN principles, including the Universal declaration of human rights, and UN Security Council resolution 1325 on the role of women in peace and security. 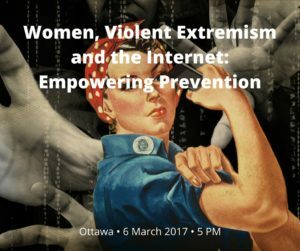 The event is supported by Public Safety Canada. The day will consist of one private and three by invitation only roundtables focused on the topics listed below. Each roundtable will consist of short presentations by selected experts and facilitated discussion. This is an by invitation only stakeholder event, but we are making the agenda public, and encourage those of you with a strong interest in the topic, whether you are a student, practitioner, government employee, or interested stakeholder, to submit a request to attend. 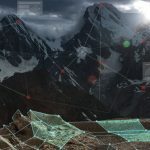 We will be allocating additional tickets on a first-come, first-served basis.